After a short break, we are back in business, though things are still pretty quiet these days. Because we missed it back when it was released a bit more than a week ago, here is a sneak peek at the PC demo of Resident Evil 7 biohazard. If you haven't had the curiosity to launch this teaser again on PS4 since its latest update, here is a good opportunity to see the new area unlocked, as well as its spooky tenant. Spoiler alert, this does not end well. Let us remind you all that Xbox One owners can also play the demo and that the final game will ship in less than a month now. Does anyone know if the PC version will support VR? No, only the PS4/PS4 Pro support VR. Very boring game..third person is the way for this game. Well, I like my inferior psvr and my inferior ps4 pro. On topic: I really liked the demo and this new road RE seems to walk on. Loved the VR and will certainly try to play it that way when the full game comes out. Like user "infamouz956" has said, Capcom has confirmed that VR support for Resident Evil 7 will be exclusive to PSVR for 12 months (link at the end). After that, VR support might be available for PC VR devices, though this hasn't been confirmed. While not the best solution, I'm sure the VR community will add unofficial support for PC VR devices in a few weeks or couple months, at most, after the game's release. They have added VR support for hundreds of games, even very old ones. And since VR is a very niche segment with most PC VR devices' owners being geeks, nerds and game developers, people who love to tinker, tweak, hack and experiment with technology, hardware and software, I just don't see them not adding VR support to RE7. It's not ideal, but it's still better than nothing. Played the VR demo yet? It's not my favourite game, and for 99.9% of internet comments regarding literally anything that has been built from the ground up to take advantage of VR, there is nothing but hate and ignorance towards it, and is equally true that those doing it haven't tried it. You say it's boring: I say, how can that be as it's just essentially a perspective change from the previous classic titles design that literally puts you inside and immerses you in a very tense environment once those VR googles are on? It is not a hybrid of the other two games as you ignorantly stated. If YOU got spooked by VR version don't expect me to be impressed too .... Didn't like that game at all and i was bored to hell... Don't be ridiculous Don't call my statements ignorant if you don't like them!! I did mind.. But do I need to write my life story here as well? ?...The answer is No... You can't prove a point by expanding the topic to a bigger circle driftwood. But that's the thing, the RE series was never truly original. All they have ever done is take inspiration (or copy) other games. I don't really see why it is now a problem to some. Now, sorry for having a different opinion than yours, but it's one of the principles of forums you know, sharing thoughts. RE had it's originalities and you know it..It had so many unique ideas towards gameplay and story line. The whole new look is a reap-off. What was so original then? Other than the magic safe I mean (which is still there in RE7 btw). It improved on the Alone in the Dark formula obviously, but before knowing if the 7th installment will do the same, I think we must play the final game first. C'mon, guys, it's almost 2017. So let's all agree to respectfully disagree here. For those that like the P.T. heavily inspired Resident Evil 7, great. I hope the game is great as well. And for those that want something more like Resident Evil 1-6 and less like P.T., we just have to wait longer for the Resident Evil 2 Remake, which is sure to give everyone the "classic/old" Resident Evil experience. Not to mention that there's nothing stopping anyone from playing the already released games. Either way, just enjoy Resident Evil 7 for what it is, instead of wishing it was something different and not liking it because it's not. Quite frankly, Horror games aren't my cup of tea, but I love Horror movies and if they can give the same or an even better experience than movies, I'm all for trying them with an open mind. Guts played the game for 5 hours and said it was nothing like PT. The first person view does not make it a PT kind of game. As for those who consider the teaser as the main game, it is not. you're not going to be told to play the same scene over and over again. Need I remind you all how lame RE6 was (and RE5 was not particularly good either, fun when played co-op, but that's about it) ? I don't know if this one will be good, but I know that daring to change a few things might be the last chance they have to save the franchise. 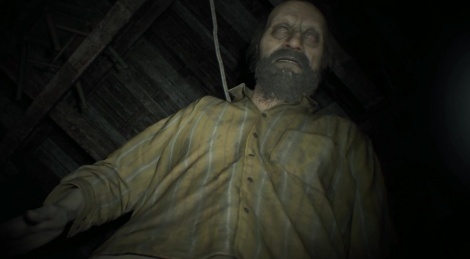 Regardless of what people say, Resident Evil 7 was clearly inspired by P.T. That is obvious to everyone, even if the tone and the game itself are different. Also, why does every single person defending Resident Evil 7 *assumes*, erroneously, that the First-Person View is the reason so many people either don't like the game or don't feel it's a Resident Evil game? I have said this countless times already, but it just seems to pass over peoples' heads. I don't give a flying frack (Battlestar Gallactica term, to not be impolite) if the game has a First-Person View, Third-Person View, or even an Isometric View. The experience I get from Resident Evil 7's Teaser demo (Horror) is not the same as the ones I got from classic Resident Evil games (Survival Horror with a lot of Action). There have been many Resident Evil games in First-Person View before, and from Resident Evil 4 onwards, every time you aimed a weapon it was Third-Person View so close to the shoulder that it was almost like a First-Person View anyway. Also, there have been many games in the Resident Evil franchise that are in Third-Person View, but that I don't consider a proper Resident Evil game because you can clearly see Capcom just tackled the Resident Evil brand and story to try and sell more copies, instead of doing a new IP. Games like Operation Raccoon City, Umbrella Corps, and Resident Evil 7. As for classic Resident Evil games, need I remind you how great Resident Evil 0-4, Revelations 1-2, and Code Veronica were (and I had fun with Resident Evil 5, specially from the middle till the end, only the first half was boring)? - The very, very great enemies, their designs and variety - and this is truly a mark of the Resident Evil franchise, who doesn't remember the first zombie scene in Resident Evil 1, the first encounter with a Licker in Resident Evil 2 (just thinking of it immediately pops up the image in my head, almost as if I'm seeing it right in front of me), the Yawn snake boss in Resident Evil 1, the Web Spinner spiders, the Nemesis-T Type that followed you around the whole of Resident Evil 3 and gave a very real sense of danger and urgency every time it happened, the great battles with Krauser in Resident Evil 4 and with Wesker in Resident Evil 5, the first time you encounter the Ganados in Resident Evil 4 and they swarm you to no end, there are so many memorable moments that would fill many pages just describing them and how great they were. Those things and many more are what made so many Resident Evil games great and the reason why it became such a beloved franchise in the first place. Regardless of horrible games like Resident Evil 6, Operation Raccoon City, and Umbrella Corps. And look at that, not a single mention of Third-Person perspective, none at all. With that said, I never said that the Teaser demo was the main game or even that I hated it, much on the contrary, only that I hope the main game is great as well (as the Teaser demo is). And yes, the Teaser demo is indeed great, it just doesn't feel like a Resident Evil game because of the lack or very little use of the elements mentioned above. Of course this is all based on the Teaser demo, though to be honest, all of the released trailers so far still didn't convince me that the final game will indeed have most or even many of those elements, but sometimes trailers fail to convey a game's essence. Which is why I hope it does. To end this long post and a somewhat silly discussion (we're not exactly arguing for the "betterment of humanity" here. 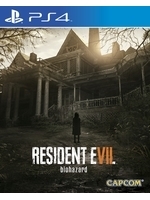 lol), if - and this is my hope - the final game includes most of the elements that made the Resident Evil games so great, then it will feel like a proper Resident Evil game - regardless of view perspective - and not just like a spin-off that should have been a new IP to begin with, as the Teaser demo felt to me, even though it was a great demo. So I'm giving the developers the benefit of the doubt, but based on everything released so far, things do not look good in my humble opinion. However, I really hope I'm wrong.